Mule deer graze on a pile created by digging a produced water chemical holding pond. 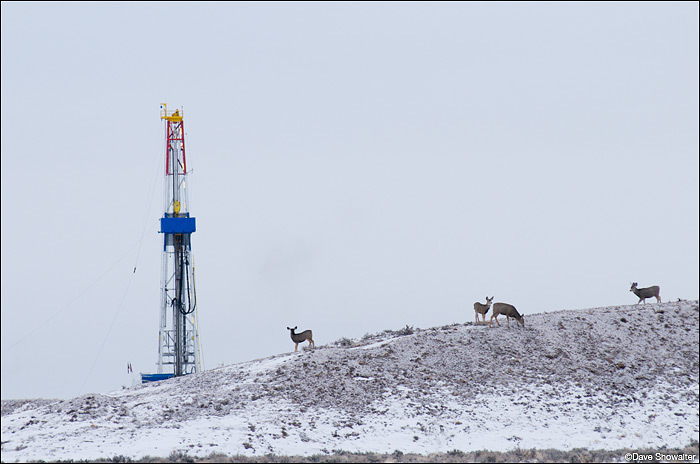 The Pinedale mule deer herd has declined by 60% since natural gas drilling started on their crucical winter range. Odocoileus hemionus. Photo © copyright by Dave Showalter.